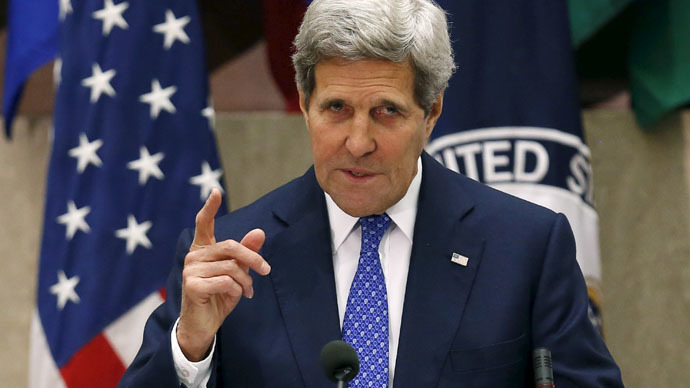 US Secretary of State John Kerry says the United States is willing to work with Venezuela in order to address problems and improve relations. He also added that he is keen to find “areas of common ground” between the two countries. Speaking at the Washington Conference on the Americas on Tuesday, Kerry acknowledged that relations with Venezuela have deteriorated significantly. "It is no secret that the relations between our two countries have been severely strained in recent years," he said, according to AFP. Referring to attempts by the US to improve ties with Latin America – the recent Summit of the Americas in Panama saw Obama and Cuban President Raul Castro meet to discuss continuing efforts to restore bilateral relations – Kerry said that the administration will keep working to improve human rights in the region. Tensions between the US and Venezuela have been high since Venezuelan President Nicolas Maduro cracked down on opposition protests, including one instance in which a 14-year-old was shot and killed. The US condemned the behavior and, in March, President Barack Obama declared Venezuela a national security threat, imposing sanctions on seven government officials. For his part, Maduro has railed against the executive order and accused Washington of interfering with Venezuela. Other Latin American countries have also spoken out strongly against the US for its decision, pushing for its removal and for dialogue to resolve the internal problems inside Venezuela.